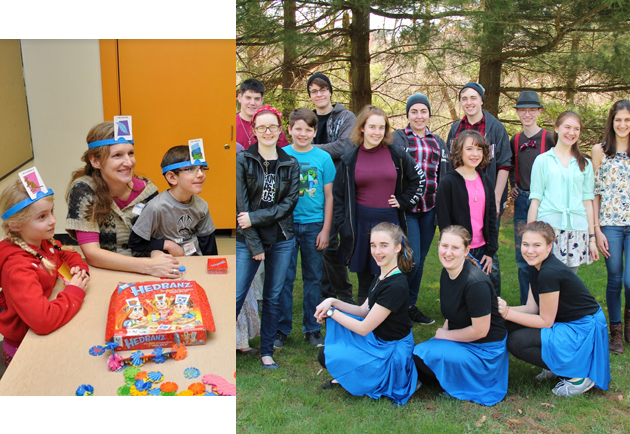 The Enrichment Center of Western PA is a unique homeschool cooperative serving the Greater Pittsburgh Area. We offer both cooperative and credit level classes in an engaging and rewarding environment. We are located in Beaver County with many families joining us from Butler and Allegheny Counties. To become a member of ECWPA, please click the link to join or if you are already a member click login to register for classes. Get Ready for the 2018-2019 School Year! Credit class registration for the 2018-2019 school year at the Enrichment Center is open! Many of our families register early in order to make plans for their children and it allows time for our teachers to prepare materials. We welcome you to consider our quality class offerings and talk to our professional instructors to see if their classes would fit your student’s needs. Now is the perfect time to consider the Enrichment Center as a solid resource to help with your family’s homeschool journey. If you have questions, please reach out to us at info@ecwpa.org or on our Facebook Page. As a reminder, clearances must be turned in by the first day of class in order to be permitted into the building. In order to ensure the safety of our members and due to federal regulation, this is a strict policy.